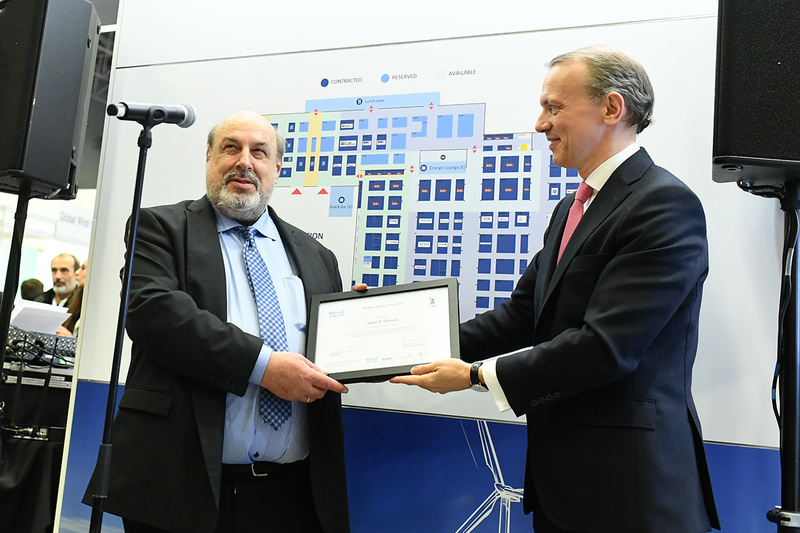 The 2019 Poul la Cour Prize was awarded today to John T. Olesen, Chief Engineer, GE Renewable in Hamburg. 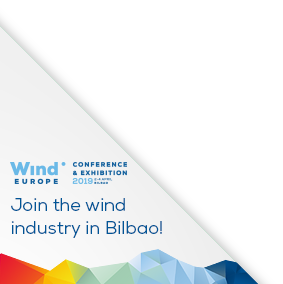 The award ceremony took place at the 2019 WindEurope Conference & Exhibition in Bilbao, Spain. The Poul la Cour Prize has been awarded 14 times since 1992. The organisations behind the award are WindEurope and The Poul la Cour Foundation in Denmark. The prize is awarded to those having made a unique and lasting contribution to the development of wind energy in Europe. This year’s winner, John T. Olesen is both a pioneer and today one of the best wind turbine designers globally, with more than 35 years’ experience in the European wind industry. John started his work in the wind industry with MICON A/S in 1983 and later worked for NEG Micon and Vestas Wind Systems until 2011. John is an engineer who has been at the forefront of developing the most cutting-edge wind turbines in the industry. He has played a lead role in the development of wind turbines at Micon, NEG Micon and Vestas, the turbines becoming the commercial backbone of these companies. He is currently responsible for the design of GE’s Haliade-X 12 MW turbine, the largest offshore wind turbine known to-date, which will be installed in Rotterdam this summer. WindEurope Deputy CEO Malgosia Bartosik said: “It is my pleasure to announce John T. Olesen as the winner of the 2019 Poul la Cour Prize. As difficult as it was to select a winner, given the quality of the nominations, John is a thoroughly deserving one. He has worked tirelessly to push forward wind turbine technology. Throughout his career, John has played a seminal role in enabling wind energy to go from niche technology to being a mainstream part of Europe’s energy mix”.